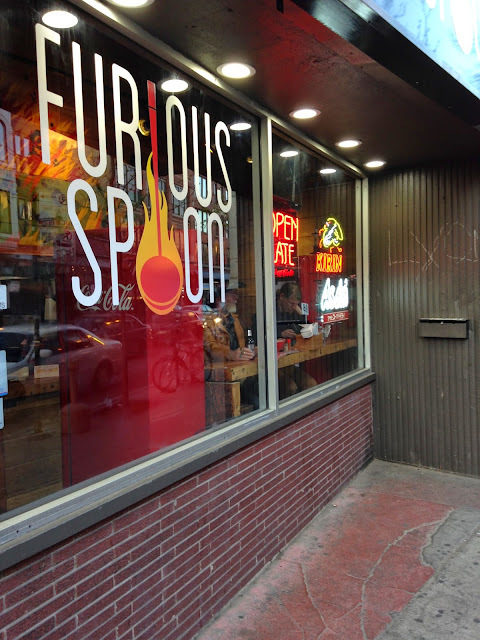 Furious Spoon: Can You Take The Heat? Editor Note: Today marks the 5th anniversary of The Ghost Guest! 5 YEARS? Seriously, what?! Thank you to everyone who has supported this little hobby of mine for the last 5 years! The Ghost Guest was born before food blogs were "cool" or whatever you want to call it! I love sharing my foodie finds with you and I hope you enjoy reading! 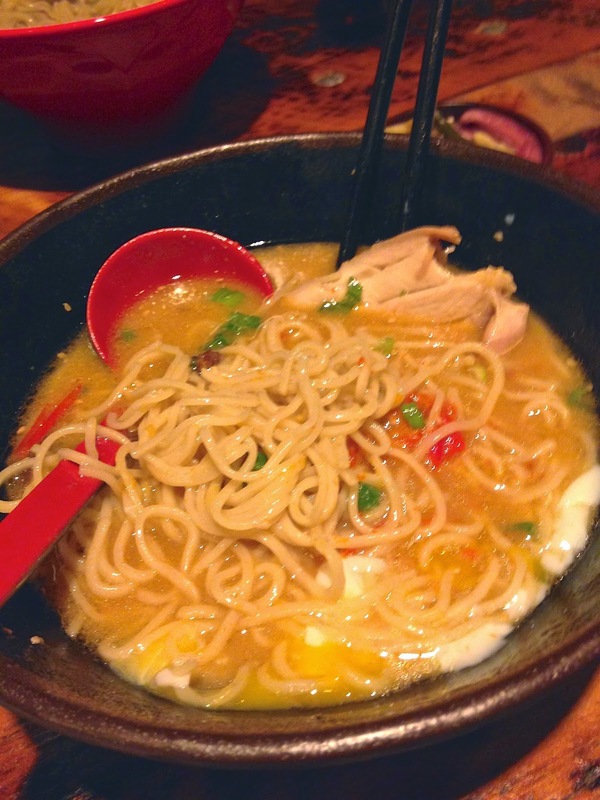 If you haven't jumped on the ramen bandwagon by now, what are you waiting for? It's true, there are a ton of ramen joints sprinkled throughout the city and everyone has their favorite. I stopped by Wicker Park's Furious Spoon with my sister on a weeknight to check out their ramen offerings and their namesake Furious Ramen. 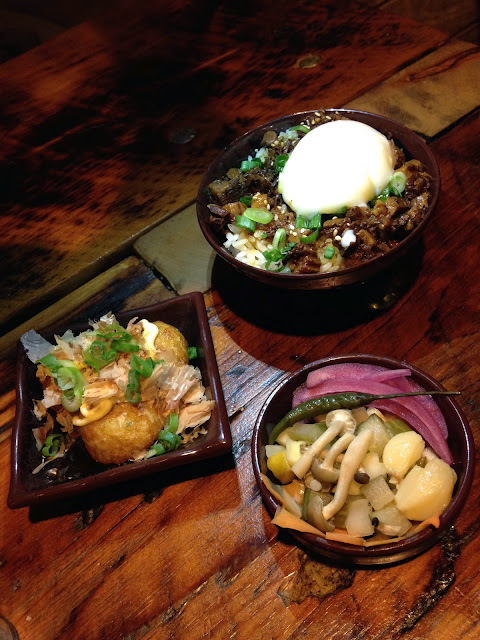 Furious Spoon is still pretty new but is certainly making a name for itself. The concept comes from chef Shin Thompson of Bonsoiree and Kabocha. 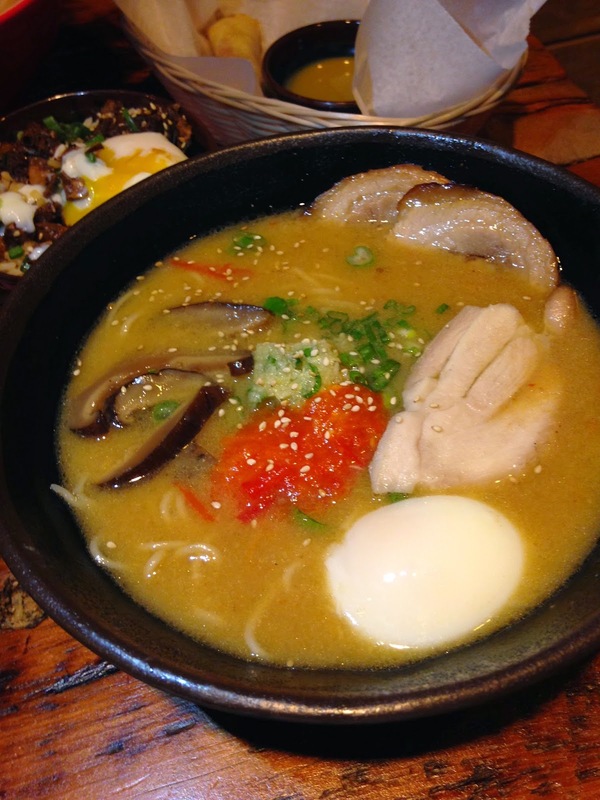 The menu is fairly simple, you pick one of four types of ramen bowls made with fresh noodles made in-house, and then add various toppings and sides. The restaurant is on the small side so get there early and make some friends at the communal tables. 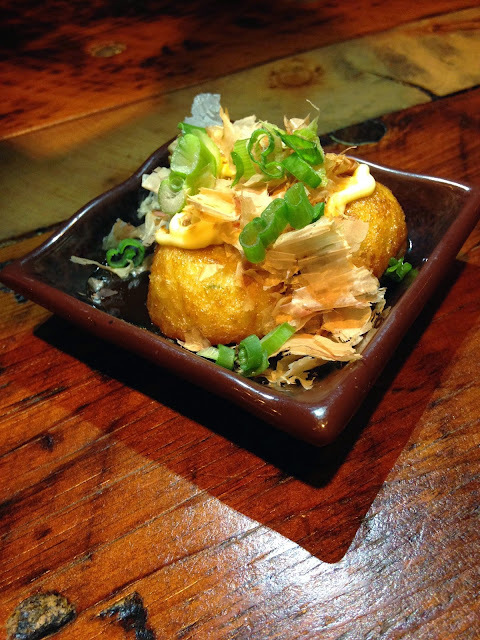 We started with a few sides including the tako yaki which are gooey, fried wheat balls filled with octopus and topped with scallion, mayo, and tonkatsu sauce. I really wanted to like these lil' dudes, but they just didn't appeal to me. I think it was a texture thing. However, we did enjoy the house pickles including pickled mushrooms, onions, carrots, garlic, and peppers. They had the perfect bite for cutting the heat of our ramen. 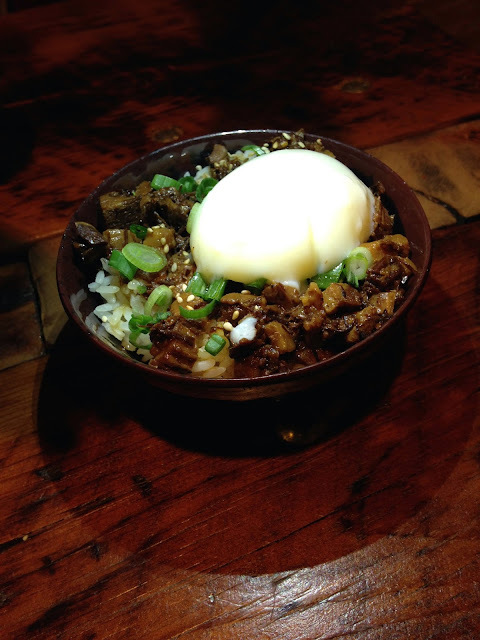 The beef brisket rice bowl was just OK as well. The brisket pieces were super fatty, but I did enjoy the flavors and the egg on top. 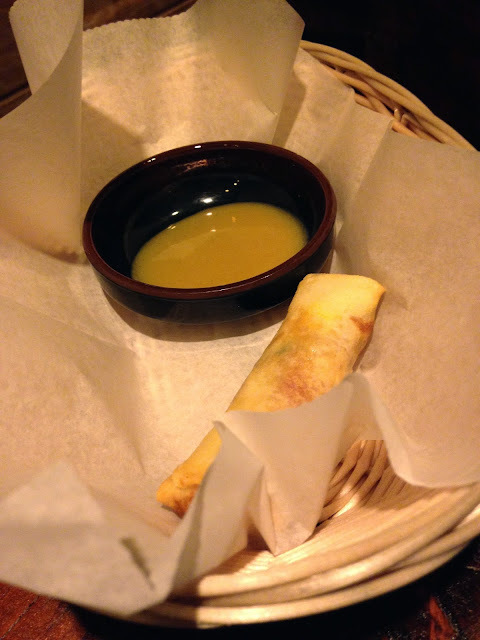 We also tried harumaki, a Japanese vegetable spring roll with a spicy mustard dipping sauce which we both enjoyed! Next up it was time for the main attraction, the ramen. 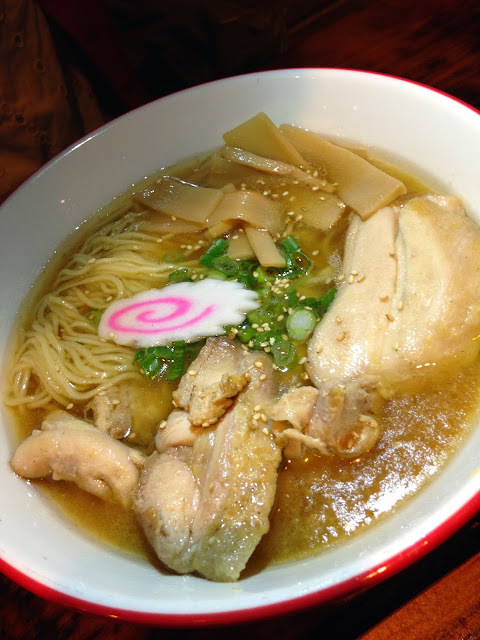 My sis chose the Chicken Shio Ramen with white pepper chicken, naruto, bamboo, and a side of house-made fury sauce. This ramen was definitely on the mild side, but had a nice kick with a touch of the fury sauce. Side note: the menu includes suggested additions for each style of ramen including egg, fury sauce, or bean sprouts, to name a few. Consider adding some of these to customize your ramen bowl. I had to try the namesake Furious Ramen with spicy miso, chasu pork belly, white pepper chicken, poached egg, marinated mushrooms, garlic relish, and fury sauce. This ramen practically has every protein and addition in one dish. Both portions were huge too. See that fire red blob below? That's the fury sauce. Holy cannoli is it spicy!!! The folks at Furious Spoon even kicked it up a notch recently because people wanted it to have more heat. I love spicy food and can usually take the heat, but damn. The ramen was so hot it gave me Kylie Jenner lips. I was OK with that because the dish was SO flavorful! I'd definitely recommend trying the Furious Ramen, just maybe get the fury sauce on the side so you can add as much or as little as you want. That's my game plan next time. The best part of the gigantic ramen bowls at Furious Ramen? The noodles, which are made on a machine behind the counter. 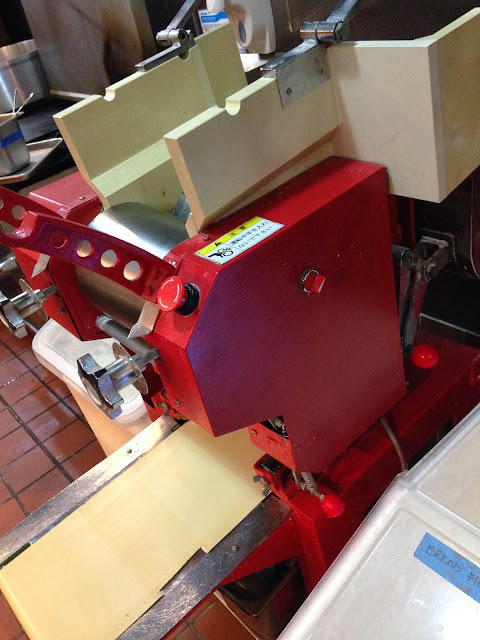 Fresh noodles make all the difference! If you're a ramen fanatic, get yourself to Furious Ramen ASAP. 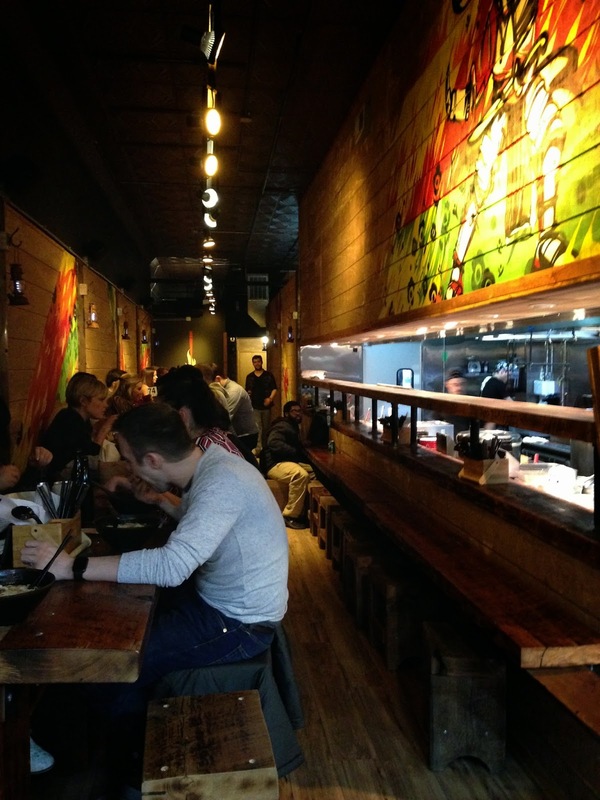 It's a relaxed spot with great ramen bowls, awesome hip hop jams, and an even better staff. Seriously, the staff there are so nice and fun! Note: my meal at Furious Spoon was complimentary; however, opinions expressed herein are my own. congrats on 5 years!! Cheers to many more years of delicious food, strong drinks, well lit pictures, and informative blog posts!! 5 Ghosts! Cool! It is the great place to visit.